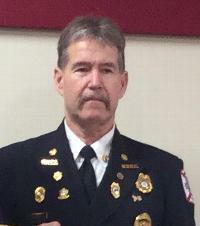 Terry currently holds the position of Fire Chief 89-15. In the past, He has held the positions of Deputy Chief Dep-89, First Assistant Chief 89-16, and President. Joined the Memorial FD in 1970. Took every class at the Delaware State Fire School that I could and became an Instructor in 1977. Taught Emergency Care, Basic Firefighting, Structural, Propane, Liquids, Ropes and Riggings, Water Rescue, Fire Prevention and Industrial Firefighting. Currently still teach in 2019. Servered as Ambulance, Rescue Captain, Asst. Chief, Deputy Chief and Fire Chief, Vice President and President. Was honored as Firefighter of the Year in 1977, 1983, 1997, 2013 and 2017. Because of family we moved to Milford and I joined the Carlisle FD in 1986. After my first year I was elected as Director and appointed as Asst Chief. In 1988 was elected as Fire Chief and served as Chief till 1992. At that time my family moved out of Milford and rejoined Station 89 as I was a Life Member. In 1994 was appointed as Asst Chief and from 1995-2002 served as Fire Chief. Was Chief again from 2006-2013, 2016-2017, 2019 current.